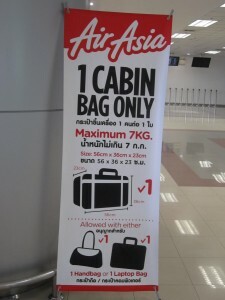 Note: Please refer to Air Asia website for more updates. Do hope you take note of this because recently I was really caught unaware of this new requirement. 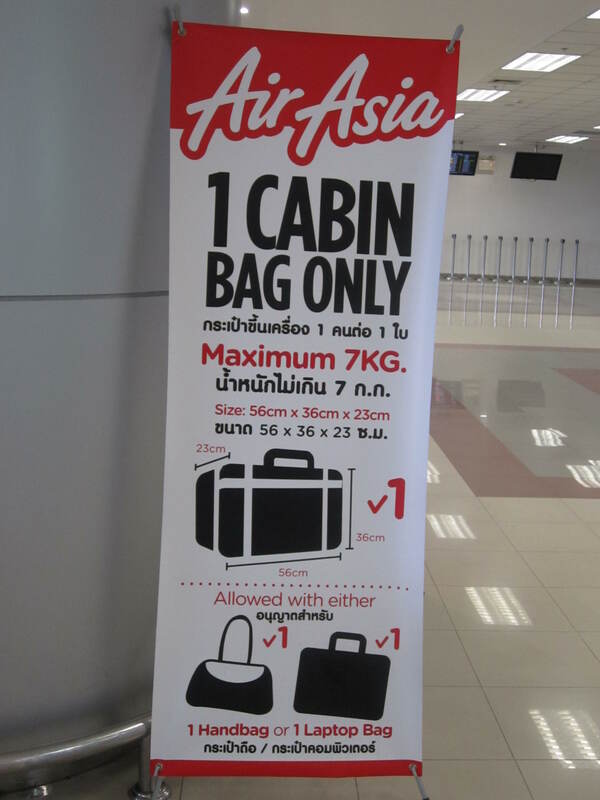 If you carry too many bags upboard, you would be stopped. Air Asia also introduced the web check-in- if you do not opt for web check-in and instead check-in directly via LCCT, you may be charged with RM10 fee for common destination. You can do the web check-in when you reach the LCCT airport by checking in using one of their self-check in portals. All you need to have is the booking number. However, I did not do the web-check but for Chiang Mai- I was not charged the RM10. The little charges add up to be a lot- so don’t be caught by not buying luggage weight, or being overweight, or not do the self check-in thing.